Until recently, nobody thought warranty could support a trade association, especially one that crosses industry boundaries. But when a warranty seminar held in a Detroit suburb in the middle of the week sells out, you can bet people will take notice. 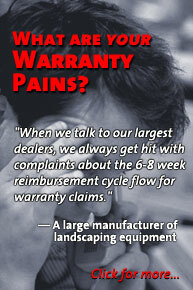 So who can host a talking shop for warranty professionals? Sometimes the notion of an industry association for warranty professionals seems as silly as, say, the thought of a publication about the warranty industry. Who would read such a thing, and who would go to the meetings of such a group? The answer to the first part of that question is known. There are several thousand warranty professionals in at least 29 countries who read Warranty Week as either email or on the Web. The answer to the second part of that question is not yet known. Is there any demand for a warranty industry association, or at least a warranty interest group within an existing association? It's up to you, the readers of Warranty Week, to answer that question. This week we're asking for your input in the form of a brief survey, which asks ten basic questions about warranty conferences and industry associations. While there is no Warranty Industry Association or Society of Warranty Professionals and nobody's suggesting one should be created, there does seem to be some interest in forming some kind of cross-industry group. And while there's no annual convention at Walt Disney World or the MGM Grand Hotel for the warranty industry, at some point we're all going to have to pick a place to sit down for a chat, even if it's in the back of someone else's conference. Please take a few minutes to fill out this brief and anonymous survey, and if your answers won't fit into the space left for "other," please consider sending in a few additional sentences via email for publication next week, either for attribution or name withheld by request. The most important question to answer is do you know of a group that already supports the needs and interests of warranty professionals? And if the answer is no, do you see the need for one to take shape? On April 21 in Livonia, Michigan, the Automotive Division of the American Society for Quality co-sponsored an all-day conference entitled "Lean Quality: The Coming Revolution in Reducing Warranty Expense." The other co-sponsors were Carnegie Mellon University and Attensity Corp. The ASQ did most of the logistics; CMU handled the content; and Attensity paid some of the bills (attendees each paid $100 at the door). What was startling about the conference was not only the attendance (it sold out) but also the level of interest (they came early and stayed late), not to mention the titles on people's badges (multiple executives from the Big Three plus their major suppliers). 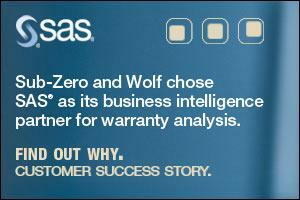 It wasn't the first warranty-themed conference ever held, but rest assured it won't be the last. Your Warranty Week editor didn't attend, but numerous readers did, and their glowing reviews began arriving by email only a few hours after the show was over. Several well-known automotive manufacturers sent teams of three to five people to the conference, led by vice presidents and directors. Each of the presentations fit together like chapters in a book, they said, advancing the story with little or no overlap. Numerous attendees singled out Carnegie Mellon Professor Sunder Kekre's talk as especially thought-provoking. Those who missed it can browse his home page for links to numerous papers he's written. Kekre wasn't the only published author in Livonia last week, however. Barton O'Brien, vice president of business development at Attensity, published a white paper in March with the title "Lean Quality: The Coming Revolution in Automotive Quality." It turns out the title of the Livonia conference was his idea, that "Lean Quality" is a phrase he coined, and that he was the catalyst that brought together the university and the ASQ's Automotive Division. "The conference was amazingly good," O'Brien said. "We had about 100 attendees, and everyone was really pleased. The conference started at 8:30. Breakfast was served at eight. And much to my surprise, everyone was in their seats by ten after eight. And then no one left after lunch." Attensity develops software that analyzes and processes plain text in several interesting ways. For the Central Intelligence Agency, the company developed a system that can analyze intercepted communications for patterns, and can detect threats no matter how poor the grammar. Various unnamed homeland security agencies are users of the technology, and the CIA's In-Q-Tel unit is an investor in the company. For private industry, Attensity has developed a system that turns the free-form diagnoses and notations of service technicians into actionable information, no matter how many acronyms or abbreviations are in the text. O'Brien said it's already in use at Whirlpool Corp. and Deere & Co.
O'Brien said he received his MBA from Carnegie Mellon years ago and has remained involved with the school ever since. He said he initially suggested to Professor Kekre that lean quality would make a good topic for a CMU research paper. As they looked for an industry association willing to serve as the publisher for such a paper, they met with Lou Ann Lathrop, chairman of the ASQ's Automotive Division. Their idea then morphed from a paper into an all-day conference. They drew up an agenda, and began inviting presenters such as Kevin Mixer from AMR Research, Andrew Cummins from the Automotive Industry Action Group, and David Andrea from the Original Equipment Suppliers Association. The AIAG and OESA are very well-known within the automotive industry. 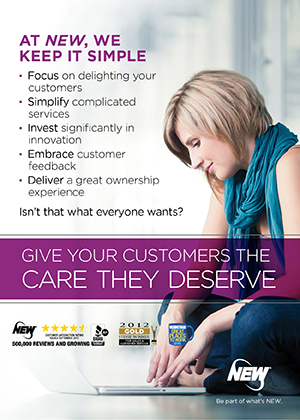 The Livonia conference appealed very heavily and almost exclusively to automotive warranty professionals. The AIAG is very well-known for the work it does on behalf of its members, not only on general topics such as warranty, but also on specifics such as TREAD Act compliance. But its first name is automotive, and while that term might sometimes be be stretched to include boats and lawn mowers, it doesn't stretch much further than that. OESA also has put on warranty-themed events recently, but again its focus is on automotive manufacturers. Is there anybody out there putting on cross-industry warranty events? Steve Layne, CEO of Entigo Corp., the founding sponsor of Warranty Week, said he sees a clear need for a cross-industry warranty professionals' group, though he isn't sure what form such a group should take. "I wonder if maybe we ought to create a Warranty Institute?" Layne asked. "People need a forum. The notion of whether it's an association, an institute, a special interest group, a society, a forum, or a trade show, you're looking for a place where people can come and derive benefit. In my mind, that would include training, education, networking, best practices, and possibly certification, and it would give you access to vendors and consultants in this space. And you would have special events such as conferences, expositions, forums, birds of a feather sessions, and industry salary and compensation surveys." "Nobody's put together the cross-industry approach to this," he added. "I think what people are beginning to learn now is that best practices run across multiple industries. There are some leading-edge companies that have taken the opportunity to benchmark best practices across industries at companies that are considered to be best in class within their industries. But it speaks to this as being a nascent industry. It's still early on." Ken Emory, the director of solutions consulting at Entigo and a member of the AIAG's truck and heavy equipment group, said he thinks automotive is way ahead of other industries when it comes to organizing interest groups and events around the topic of warranty. He said he doesn't see a comparable amount of warranty focus in the groups and associations that cater to other industries, but he also doesn't see anyone yet approaching warranty as a cross-industry topic. "I think there's a lot to be learned across industries," Emory said. "I think there's more overlap than people think." He suggested that perhaps it would be best to start with a cluster of closely aligned industries such as HVAC, major appliances, and home electronics. "Once you pick a few that are already intertwined, then just grow it out. It's a tough one, but personally I think people are interested in what's going on in other industries." Attensity's O'Brien agreed with that assessment. "I think you can have a general cross-industry warranty meeting," he said. "A lot of the issues are exactly the same, particularly the issues raised by coding, and this whole Part Pareto approach, which is generally used by everyone." Computer manufacturers can have just as much trouble diagnosing and correcting problems as automobile manufacturers. Just because a part fails doesn't mean it is defective. The failure could have been caused by the part next to it, or by an incorrect installation. One of the topics that several of the presenters kept returning to was one that's well-known in every corner of the warranty industry: no trouble found. It's a question that keeps cropping up in conversations and in email: is there an industry association out there for warranty professionals? Sadly, the answer is no, or perhaps more hopefully, not yet. While the automotive industry is lucky to have the AIAG, OESA and ASQ working on warranty events, there's nothing equivalent aimed at computer professionals or aerospace professionals or HVAC professionals. Maybe it's time for that to change. Relex Software Corp. is a company best-known for the reliability and quality management software it sells to manufacturers, primarily in the aerospace industry, but also in the automotive industry. Peter Oleinick, enterprise account manager at Relex, was one of the hundred people at Livonia last week. While some of the company's staff are ASQ-certified reliability engineers, this was the first time Relex had sent a representative to an ASQ Automotive Division event. Oleinick said the Livonia conference also was the first warranty-themed conference he's ever attended. Relex already runs online teleconferences and plans to begin a series of seminars in the coming months, and it has scheduled a user conference for Sept. 14-16 in Baltimore. But Relex isn't just a warranty software company, so these won't be events narrowly targeted at just warranty professionals. Then again, Oleinick left Livonia with a positive first impression of warranty events. "The thing that I liked about it was it was an opportunity to network," he said. "More networking time would have been even better, but we had a schedule that was pretty much chock full of speakers." The luncheon, he said, was set up much like a sit-down wedding, with ten round tables of ten people each -- and no room for dancing. "You tended to stay with the people at your table." Next time, he'd suggest more breaks of longer duration, more room between the tables at lunch, and perhaps separate tracks for financial, engineering, operations, etc. Maybe the program would benefit from a few case studies or at least more presentations by end users? But no matter what, he was happy to have attended this event. The Original Equipment Suppliers Association is a group representing 355 manufacturers of aftermarket auto parts. It's a part of Motor & Equipment Manufacturers Association. David Andrea, vice president of business development for OESA, noted that his group already covers warranty issues quite extensively, but it does so primarily for the benefit of its members. A working group recently made a comparative analysis of the warranty terms and conditions of the major American passenger car manufacturers, which they're now selling online for $200 per copy ($75 for members). In January, OESA published a model terms and conditions document, which outlines how a buyer and seller in the automotive aftermarket should structure their contracts. It includes sections for shipments, payments, and quite prominently in Section 7, product warranties. A Word-formatted version of the document is also available for cutting and pasting into an actual contract. CLEPA, the European Association of Automotive Suppliers, wrote an extension of the OEM warranty report that focused on European OEMs. The model terms and conditions document also might be adapted to the needs of tool and die manufacturers if that industry's association follows through on its translation project. But Andrea said for the most part warranty work doesn't travel well across geographies or industry boundaries. "A lot of times it's just auto talking to auto, white goods talking to white goods, and things like that," Andrea said. One reason, he said, is that each industry falsely believes its problems are unique. However, he also notes that the parts and components in a typical automobile cut across numerous industry boundaries such as air conditioning, carpeting, consumer audio, and lighting, just to name a few. So the automotive industry isn't as isolated and insular as perhaps some other industries might be. OESA and its members already have religion when it comes to warranty. In fact, Andrea said the group is very close to forming a permanent Warranty Council, which he will likely chair. But its members are from just the aftermarket corner of just the automotive industry, so it doesn't represent a cross-section of manufacturers by any stretch. Still, warranty is especially important in the automotive industry, and as far as parts manufacturing goes, seems to be more of an expense in the aftermarket than with the OEMs. So of course OESA members are vocal and visible when it comes to warranty work. "With something like auto warranty, it involves the vehicle manufacturer, the supply chain, and the production of the parts," Andrea said. "But then it also gets into dealer issues, and whether there could be common codes and other kinds of industry standards that reduce the overall cost to the industry. And certainly, you need some industry association bringing all those parties and agendas together." Andrea said the American Society for Quality might be a good home for a cross-industry warranty interest group, but even the ASQ might not know what to do about non-production issues, such as those concerning the financial aspects of warranty, Sarbanes-Oxley compliance, etc. The Society of Manufacturing Engineers, the Association for Manufacturing Excellence, the Institute of Industrial Engineers, or perhaps the Institute of Electrical and Electronics Engineers also might be a good fit, but they also might be limited by the breadth of manufacturing industries they serve, not to mention their focus on engineering. Then there are a few groups whose names suggest they could be a good home for warranty professionals, but whose activities suggest otherwise. Darren McKinney, the National Association of Manufacturers' senior director of media relations, said he wasn't sure whether his group would be a good fit for warranty professionals. "We are principally interested in public policy, whether it be taxes or environmental regulation," McKinney said, "and largely at the federal level." The NAM is affiliated with the Manufacturing Institute, which provides research and educational services, but again its focus is on Washington with publications such as "Keeping America Competitive," and statistics on manufacturing industry employment. Which brings us back to the ASQ. Warranty and quality are a bit like cousins, so perhaps the ASQ is the perfect home for warranty professionals. Numerous Warranty Week readers carry both words in their job titles, though some companies have separate directors for each. The problem is that while there are plenty of family bonds between the two, there also are important differences. For one, quality is an important part of manufactured products such as food, drugs, and cosmetics, but there's nary a warranty to be found in any of those industries. For another, important aspects of warranty such as service dispatch, fraud analysis, and claims payment have nothing to do with quality or reliability. In fact, one could say that warranty is what happens when quality falters. Tom Washburn, a program manager for warranty at Hewlett-Packard Co., said he used to be an ASQ member, but he let his membership lapse a few years back. He enjoyed the monthly magazine but never made it to very many meetings, so it was easy to leave the group when HP employees were told to cut costs. Washburn said he sees a lot of intersection and overlap between quality and warranty, but he also said one isn't a subset of the other. "Quality is one of the drivers of warranty, but it is not the only driver," he said. "In some cases it makes sense to align with them, but in other cases, there are other things that aren't necessarily related to quality, such as how we deliver service." He said he also sees a lot of overlap between warranty accounting practices and financial accounting principles, but that doesn't automatically mean there should be a warranty division of a financial industry association. Or maybe there should be? Warranty intersects with so many processes and touches upon so many departments that perhaps it won't all fit into one already-existing organization. Maybe it needs its own standalone organization? "I think it may be best to leverage the infrastructure already established than to try to establish something from the ground up," Washburn said. "That's my initial inkling." Ken Case, president of the ASQ and a Regents Professor of industrial engineering and management at Oklahoma State University, said that quality and warranty may be even closer than cousins. "Quality has grown to be a very big field," he said, "and it has its roots going back to statistical sorts of things. But then as the decades marched on, we learned there were people aspects as well." Lately, the ASQ has researched the financial costs associated with quality, and in the very recent past has begun to even look at financial reports and predictions as having their own quality aspects. "We have a very active regional structure, and then we also have a section structure," he said. "And if we went inside our divisions, we have at least three groups that impinge closely upon warranty work." For example the ASQ has a reliability division, a statistics division, a measurement quality division, and a quality management division, not to mention the group that put on last week's show, the automotive division. The ASQ is already broadcasting live Webinars, has its own e-Learning Center, and runs its own training and certification programs. "We also have an opportunity for interest groups to bubble up," Case said. "And in fact if there were some frontrunners who got together, and for example some people coming right out of this conference saying 'Hey, we have something here,' our mechanisms now allow for that to be done with American Society for Quality support." Beginning July 1, the ASQ is debuting two new classes of membership that may appeal to warranty professionals, Case said. One is a "forum membership" priced at $29 per year, which would allow people with a niche interest in a single issue or section to join up. Another is an "associate membership," which carries a few more privileges and is priced at $69 per year. And then there is always the full $89 annual membership option, which is all that exists now (besides the student level). "We welcome them," Case said. "We're the place for them. That's explicitly what we're trying to do -- make a home for people who are somewhat within the broader view of quality. It would be perfect." Ford Motor Co. vice president for quality Louise Goeser says carmaker's warranty costs fell by 27% from 2001 to 2003. Company expects higher initial quality marks from J.D. Power this week. DaimlerChrysler balks at further investments in Mitsubishi; focus on quality of core brands said to be distracted by investments in Chrysler in 1998 and Mitsubishi in 2000. Investors cheer the news; DCX stock price rises sharply. ServiceBench Inc. says Mitsubishi Digital Electronics America to use its PerformanceCenter Web-based data mining, analysis and reporting tools. Cardiff Bus reconsiders airport bus order placed with TransBus International since the manufacturer's parent company went into receivership. Trustees overseeing the bankruptcy now say they will not honor warranty claims. New types of house paints are more durable thanks to new additives. Warranties of 15 to 25 years are common, with some lifetime warranties now available to consumers. San Rafael Nissan abruptly shut its doors, refusing to release customer vehicles undergoing warranty work and declining to release service records to customers wanting to go elsewhere. Ford Motor Co. gives oversight of its global automotive business to Jim Padilla, the executive credited with improving quality and profits in North America. International operations oversight to be split between two people: Mark Fields to head Ford Europe and the company's luxury brands, and Mark Schulz to head Ford's Asia Pacific and African operations. NHTSA to release TREAD Act data on deaths and injuries, but statistics on warranty claims and consumer complaints to remain confidential. NHTSA says the system is working, but personal injury attorneys and safety advocates disagree. General Motors fixes Saturn's continuously variable transmission problems, extends the transmission's warranty coverage from three years/36,000 miles to five years/75,000 miles. Wisconsin Governor Jim Doyle signs into law Senate Bill 446, which classifies vehicle protection product warranties as warranty products and not as insurance products. Attensity Corp. announces list of supporters of its "Lean Quality" methodology, designed to boost product quality and reduce warranty expenses. Consulting company launches Open Source Legal Defense Center, a set of legal defense services and connections to legal advice on Linux-related intellectual property issues. Home warranties help mitigate repair costs, but maintenance insurance purchases are no cure-all for many homeowners. Australian supermarket chain, Aldi, sells low-cost notebook computers; product warranty, if any, is the responsibility of the supplier, not the retailer. Acer, IBM and Dell see sales of low end notebook computers soar in India, but businesses still want three-year warranty and support services. ClearForest Corp. comples an extended third round of funding, adding $2.5 million to the $7.5 million it raised six months ago from existing shareholders. Pragmatek Consulting helps Toro Co. focus on improvements to supply chain, product lifecycle, purchasing, and warranty claims management. Warrantech Corp. says review by the Securities and Exchange Commission's Division of Corporation Finance is nearing completion; from now on the company plans to follow FASB TB 90-1 revenue recognition requirements.